Dragonflies are very inspiring to me. A long time ago, someone said to me as he looked at a dragonfly perched upon a rock set against a beautiful wooded park, that the dragonfly was where he was meant to be. When I feel a desire to know where I am going, I think back to this sentiment and remember that sometimes when we stand still we are already right where we need to be. 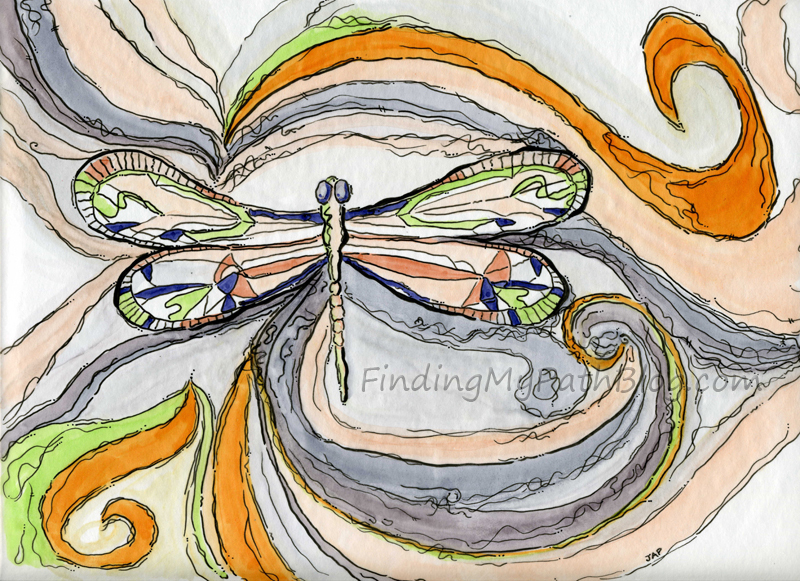 This entry was posted in Vellum, art markers and india ink and tagged art, colorful, dragonfly, india ink, markers, meant to be, muse, place in this worl, place in this world, playful. Bookmark the permalink.